As your loved one ages, it can be hard to identify their changing needs. You may be suspicious they are struggling as you observe changes in their behavior or lifestyle. Often, seniors do not recognize their own limitations and struggles. As a result, your loved one may not be willing or able to tell you that he or she can’t remember to take medication or if they brushed their teeth. Look for these signs your loved one needs in-home care to remain safe and healthy while living on their own. During a loved one’s recovery from an injury or operation, it may be obvious that they need help. However, there are many subtle signs to be aware of as well. When was the last time you observed your loved one’s driving? As people age, they sometimes struggle with vision, reflexes, and other abilities that affect how they drive. If your loved one’s driving appears unsafe, if they are in minor accidents, or if they lose their license, it may be time for home care assistance. Many caregivers provide safer transportation to the aging. Check in with your loved one regularly to observe whether or not they are experiencing memory loss or difficulties. 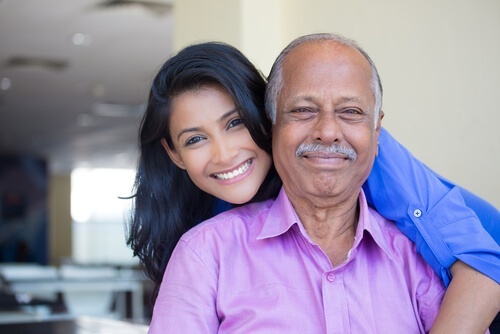 If you notice that your loved one cannot recall previous conversations, consider home care services like medication and appointment reminders. Due to medical issues such as arthritis, general muscle weakness or Parkinsons, many people find the next stage of life comes with movement challenges. You may notice your loved one reaching out to stabilize or support themselves as they move, such as running their hand along the wall as they walk. This is a sign they may be struggling with stability, balance, and strength while moving. Making home modifications or providing a caregiver can help provide your loved one and family with peace of mind as they move about. Having a fall is, unfortunately, a sign that a senior is struggling with getting around significantly. Your loved one may also be at risk of falling or injury if they are taking certain medications or suffering from particular medical conditions. Assistance with mobility can protect your loved one by preventing additional falls or injury. Due to memory, mobility, medical, and even vision issues, it can be challenging for seniors to maintain their own personal care. Extending beyond messy hair or misapplied makeup, a lack of personal care can become a medical risk. As a result, it is important to assess your loved one’s personal and hygiene needs. Memory difficulties, mobility problems, and difficulty getting to and from doctor’s appointments or pharmacies can all contribute to medication mismanagement. In some unfortunate cases, medication mismanagement can be dangerous. Hospitalizations are often due to seniors taking medicines incorrectly. Check in on your loved one regularly to find out if they are having difficulty remembering to take, reaching, or managing their own medications. Whether as a result of injury, medication mismanagement, or any other issue, frequent emergency room visits are a sign your loved one is having trouble with independent living. To protect your loved one and prevent further incidents, seek home care services. Signs that your loved one is need of assistance do not necessarily indicate that he or she needs to move into an assisted living facility. Many seniors can safely live in the comfort of their own home with the help of in-home care services. Learn more about how home care can help your loved one remain at home in the next season of life. Download our free guide.